Fallas is a traditional celebration in the city of Valencia, Spain. During five days, the streets of the city are full of thematic monuments made of cardboard, wood, fabric and other materials. The monuments are competing to win the first prize of their section. Sections which are divided depending on the economic cost of the sculpture. 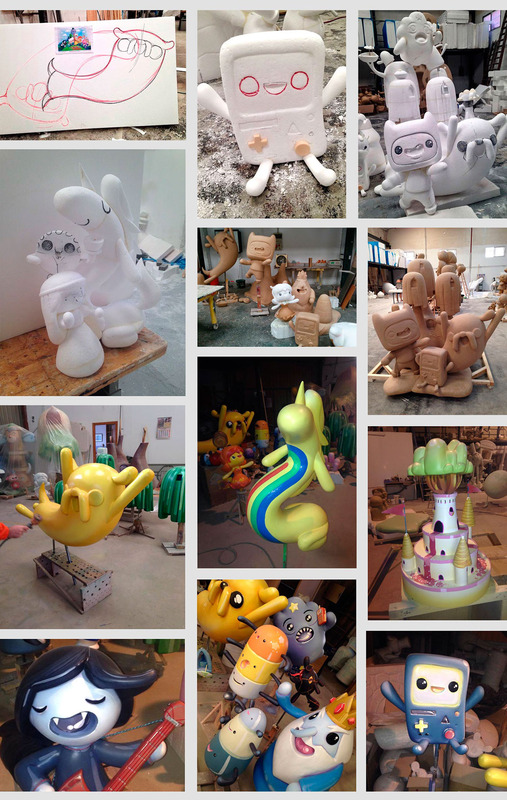 We took active part during the Fallas in last March, making the design of three of these monuments. 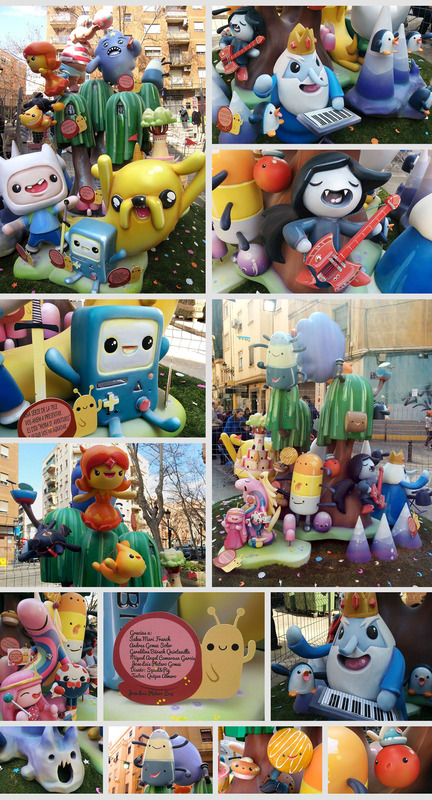 This one in particular was a tribute to the cartoon series "Adventure Time" and was erected in the streets of Baron de Patraix and Cuenca, in the city of Valencia, and the artist who sculpted and painted was Jose Luis Platero. And, it is on the night of March 19, when all these ephemeral sculptures are burned as a symbol of renewal and beginning of next season. 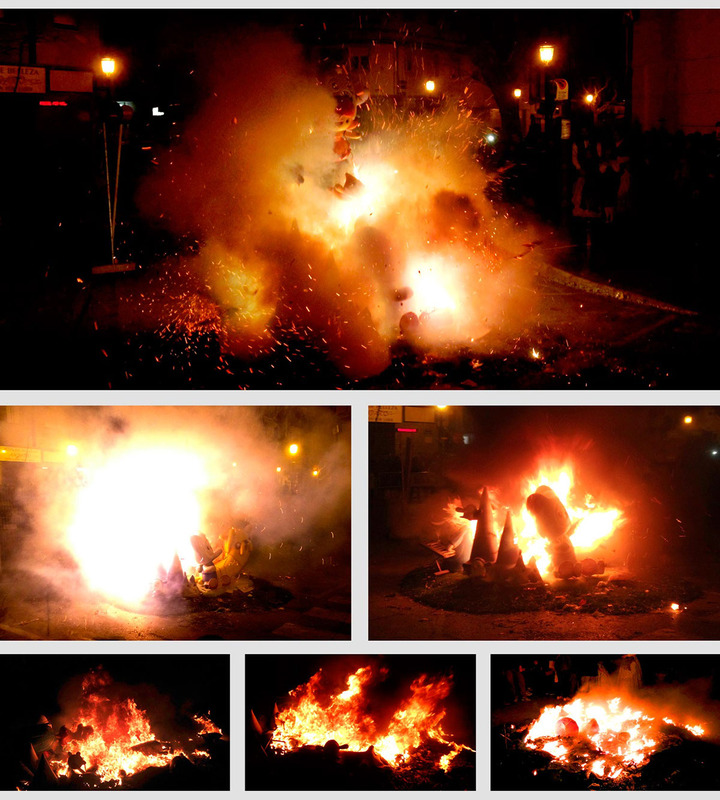 In addition, the characters of the fallas, known as “ninots”, also compete to be saved from the flames. 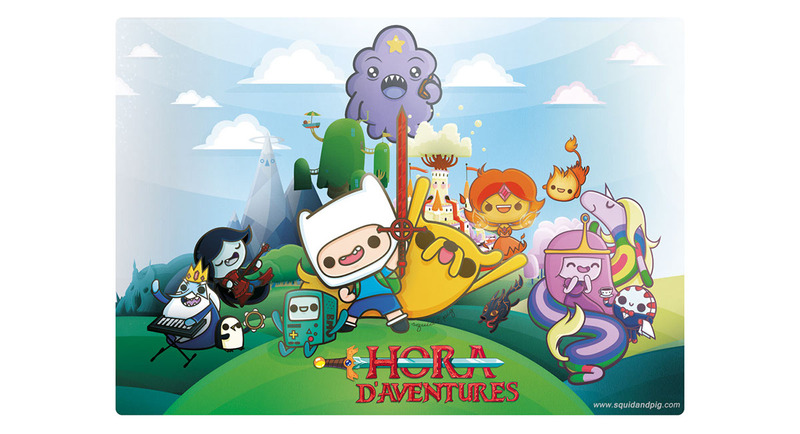 This falla was awarded as the best in its section and the figure of the Bubblegum Princess, Lady Rainicorn and Peppermint Butler, were awarded as the best ninots of their section.